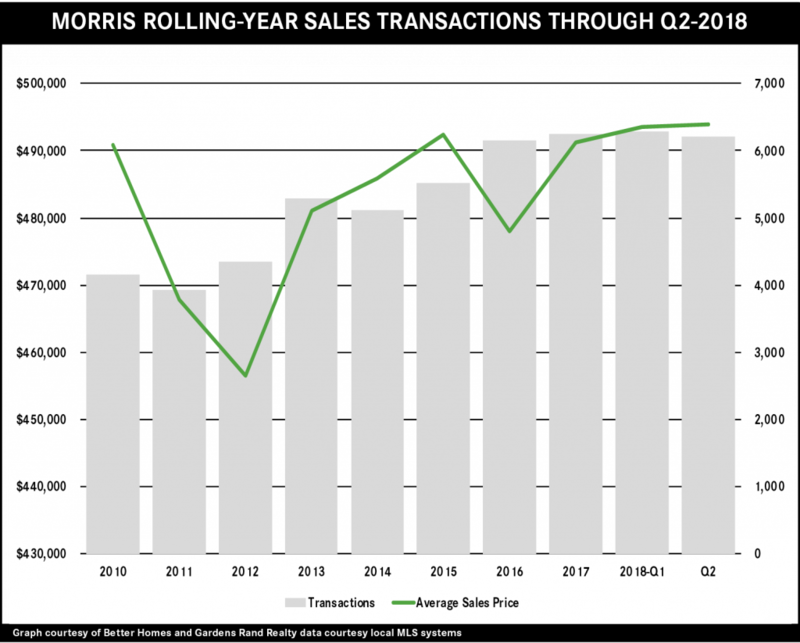 The Morris housing market flattened out a bit in the second quarter, with sales down and prices basically flat. Quarterly sales were down for only the second time in about four years, falling over 4% and now down about 1% for the rolling year. But demand remains strong, driving prices up slightly for the quarter and between 2‑3% for the rolling year. Sales might pick up in the third quarter, since we’re starting to see inventory levels rise just a bit after severe declines for most of the past few years. Going forward, we expect that the market will remain strong, with sales and prices generally rising through the end of the year.